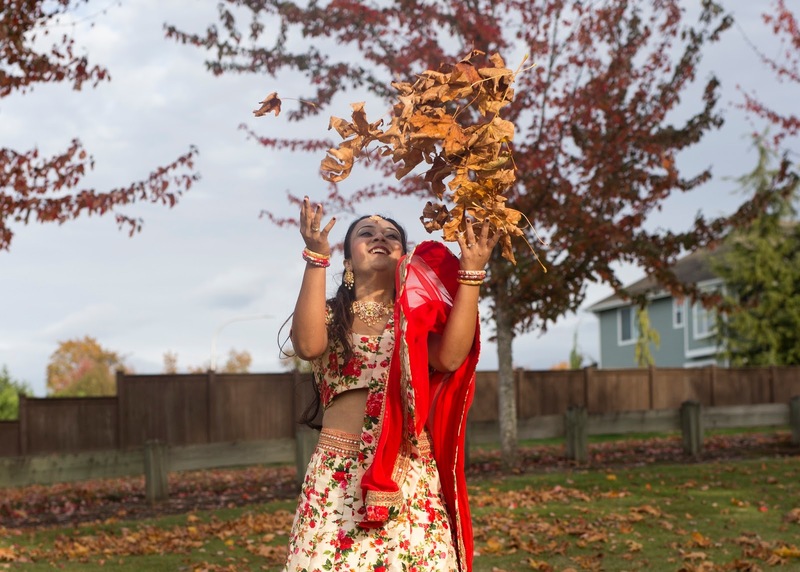 I am loving the Fall festivities this season. 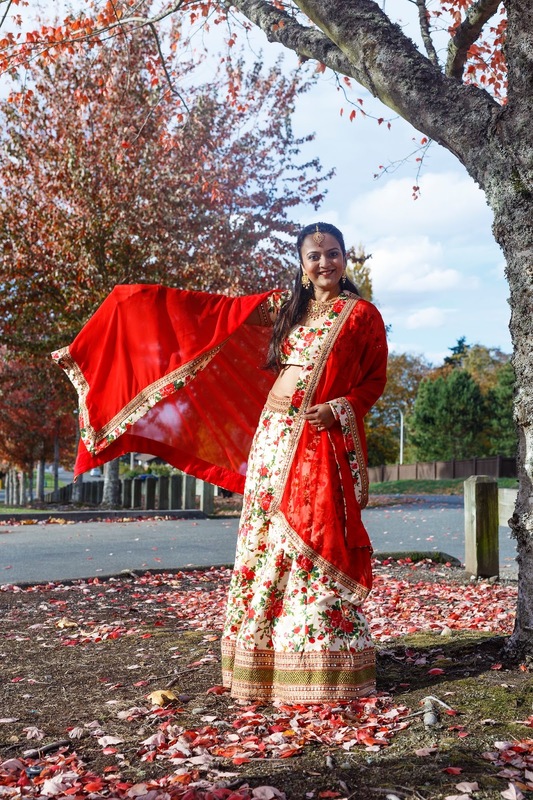 I enjoy getting dressed for Indian festivals but this time I had more than one reasons to celebrate when I received this beautiful floral print Lehenga Choli. 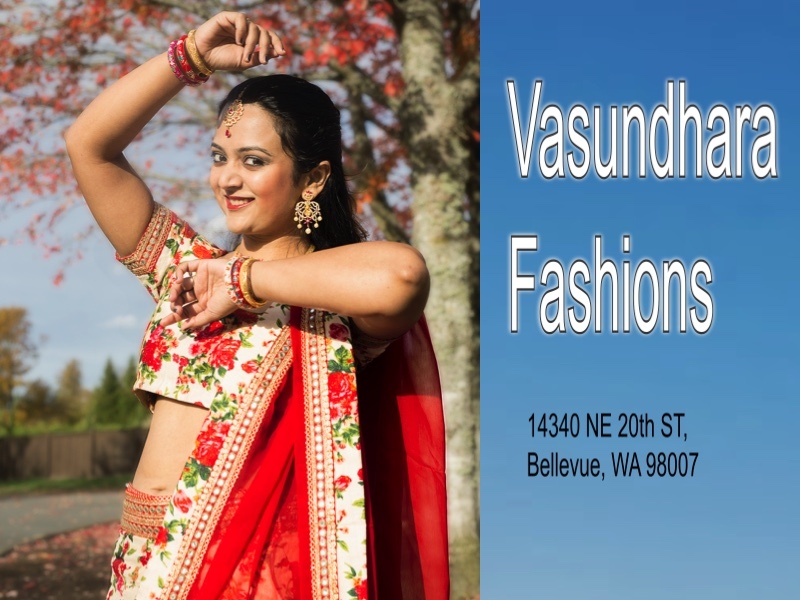 I am featuring this designer wear Lehenga Choli from Vasundhara Fashions, Bellevue WA. 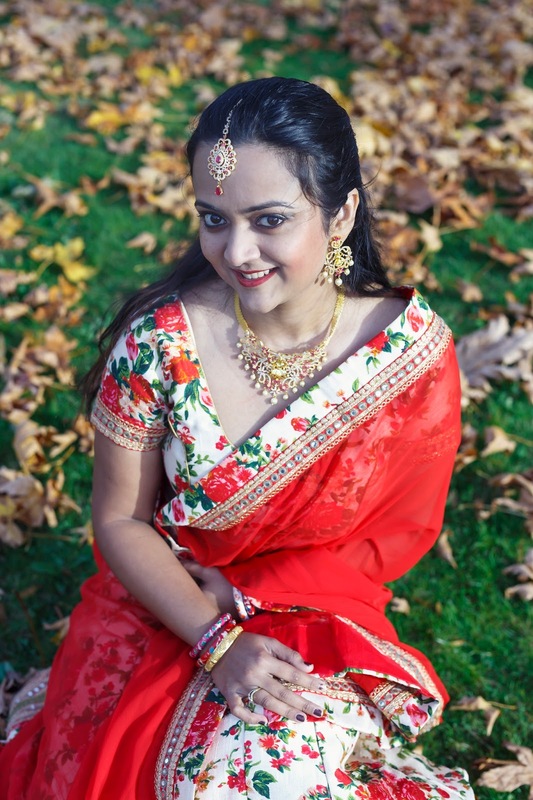 Indian wear can get monotonous and boring if it isn't adapted to the latest changing trends. 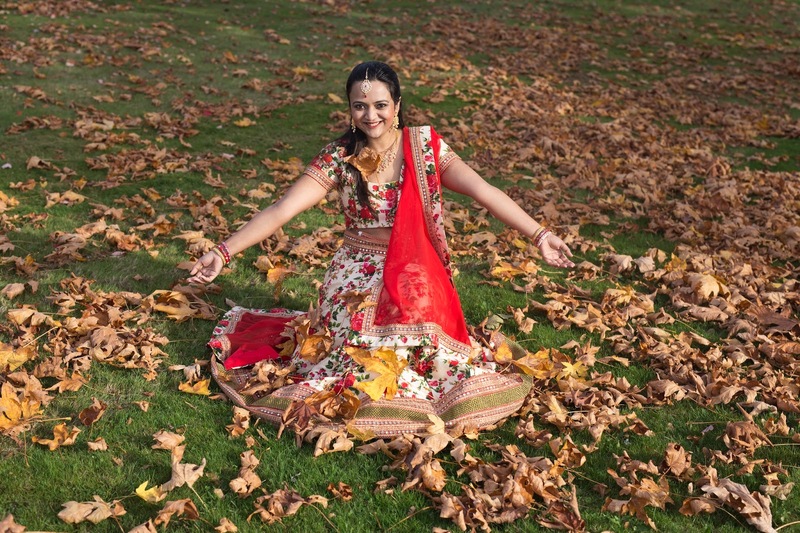 I have always love wearing prints and the falling leaves, yellow trees give u more reasons to be dressed in flowers. 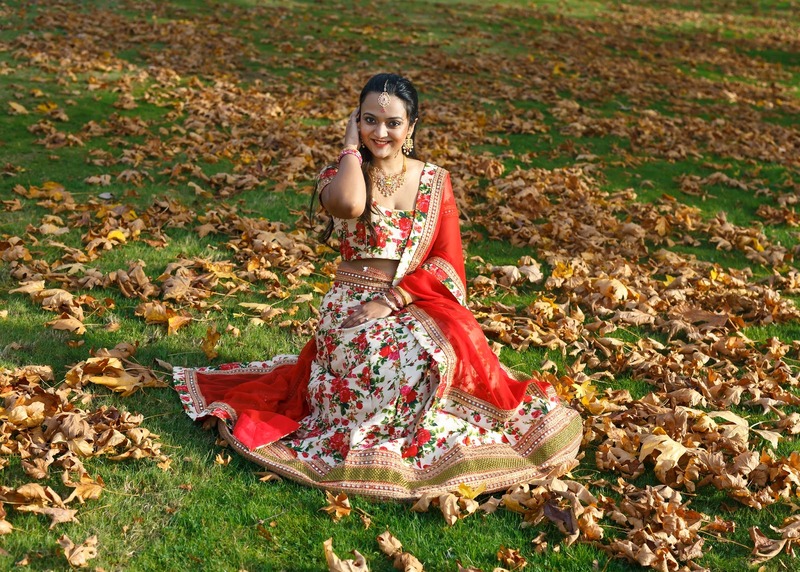 This Lehenga choli is intricately designed with the addition of bold red color dupatta( scarf). I was waiting for a perfect day to shoot with this beauty and Seattle weather was generous enough to give me one bright sunny day. 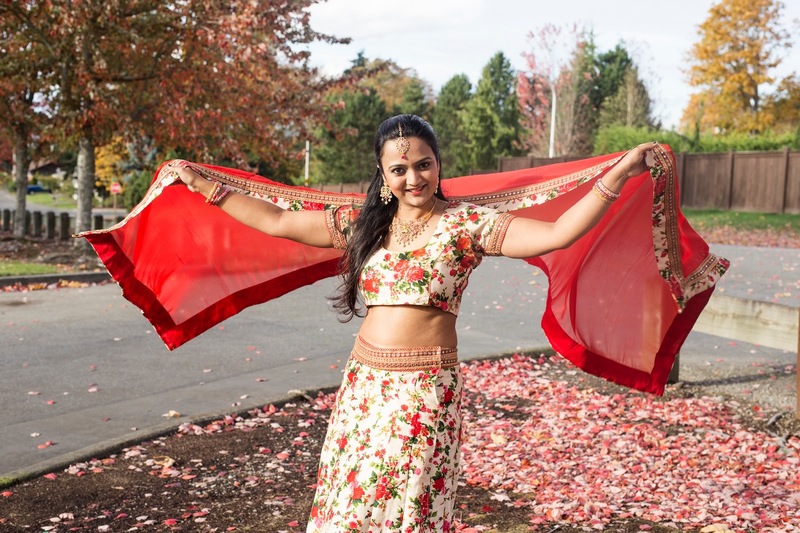 Actually even on a grey day when I wear this Lehenga it fills my day with brightness. 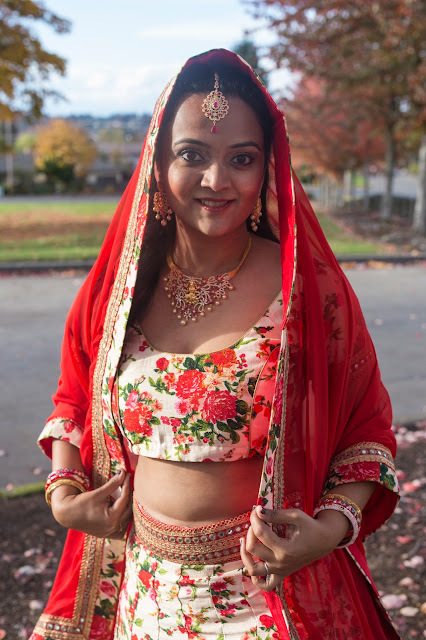 The Lehenga skirt has two layers inside of it which helps the skirt stand stiff which I love about it. The instant you wear it, it makes u feel special. Its pretty light in weight and I was able to dance the entire night wearing it. The diamond and ruby studded jelwery from Vasundhara Fashions is like an icing on the cake. Its completes the outfit with elegance and grace. The mang tikka (forehead acccesory) is what I love the most. Now I will let pictures do the talking but let me know what are your thoughts. If not you can also shop online !!! U look lovely..love the floral print. You look so pretty Ananya :) and the pretty is gorgeous as well.. the mang tika completes the look, and I love the new template too.. 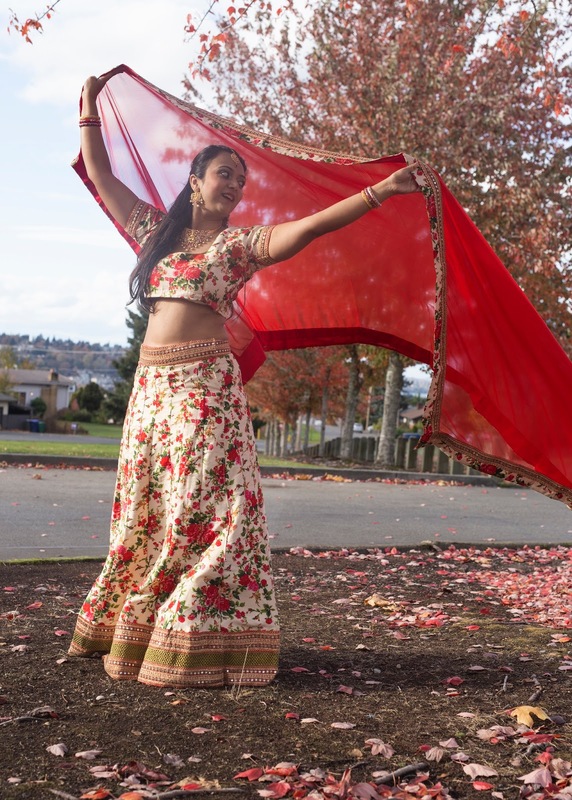 The lehenga is so beautiful! 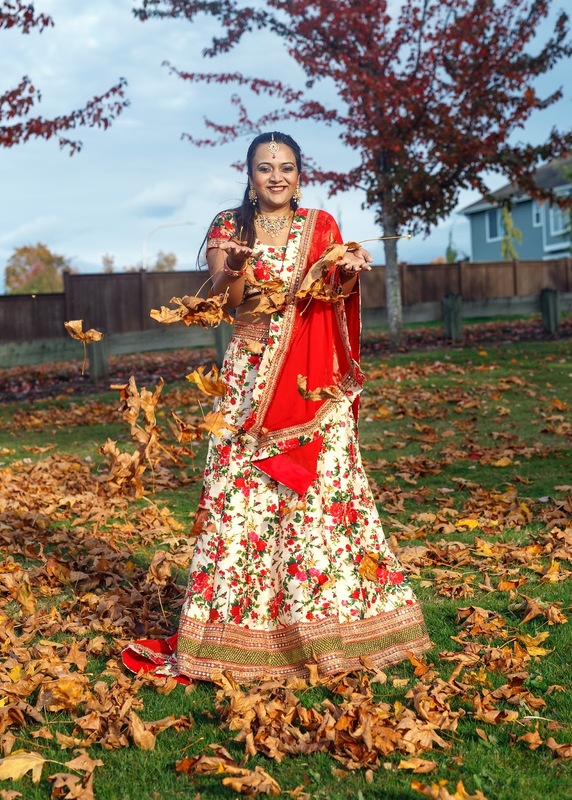 Really Looking awesome in designer lehenga.